I absolutely love loose leaf and chai tea has long been one of my favorites. So I decided that for Christmas this year, I would make my own hand blended chai tea! 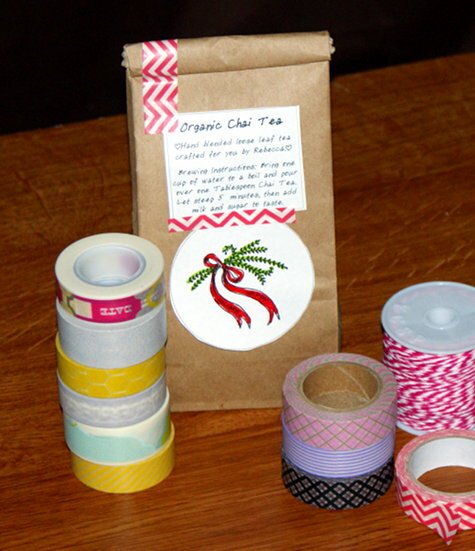 Making chai tea is incredibly easy to do and makes a fabulous handmade gift idea! 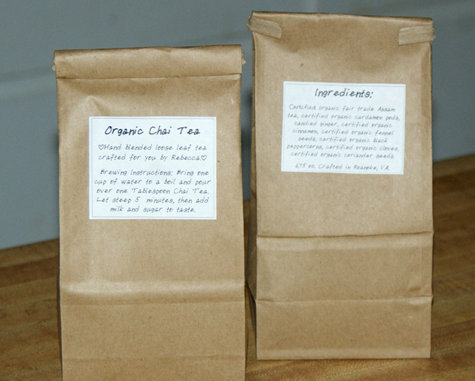 I made mine using certified organic, fair trade spice and tea ingredients from Mountain Rose Herbs. 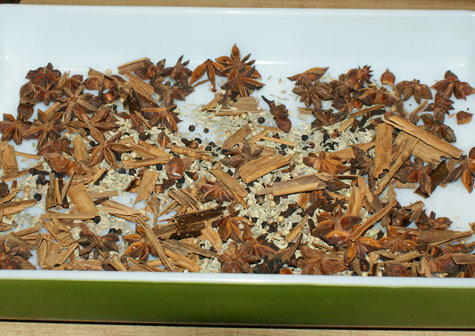 Next, place the Cardamom and Cinnamon into a large dish with the Peppercorns, Fennel Seeds, Coriander Seeds, and Cloves. In a preheated 350 degree oven, heat your spices for about 5 minutes until fragrant. Remove from the oven and allow to cool. Then crush the spices as much as possible using the bottom of a glass or cup. In a large bowl, combine the tea, candied ginger, and spices, then mix well with your hands until ingredients are evenly dispersed. You can find spice sized jars of crystalized ginger at The Fresh Market or a Co-op. Target sells it as well, though it was $3 more per jar at Target than The Fresh Market. Alternately you can substitute a smaller amount of Organic Ginger Powder. 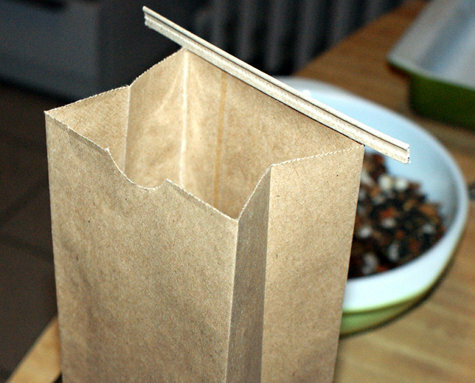 Now fill two Eco-friendly Kraft Poly-Lined Bags with tea. I used a scale to fill my bags equally. This recipe yields approximately two 6.75oz. bags. 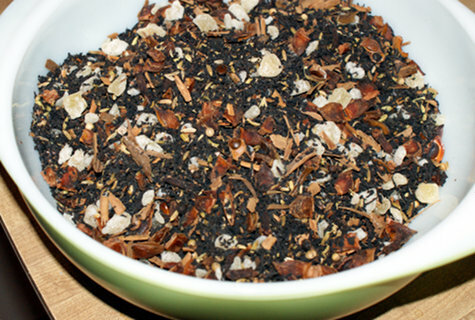 Alternately, you can fill individual Empty Press ‘N Brew Tea Bags with one Tablespoon of tea. Finally label your containers with ingredients and brewing instructions. I used OpenOffice to create my own simple labels and used a custom font with my handwriting. You can create your own fonts very easily at http://www.myscriptfont.com/ Now all that’s left is to decorate your package for gift giving! I used a free printable label from Hey Look and washi tape to decorate mine. How would you dress up yours? Bring one cup of water to a boil then pour over one Tablespoon of Chai Tea. Allow to steep for five minutes, strain, then add milk and sugar to taste. Love homemade food gifts? Also be sure to make and gift some delicious homemade vanilla mocha coffee marshmallows! Yum! I adore chai and never thought I could make my own! Not only does this sound delicious as ever, it’s so pretty! 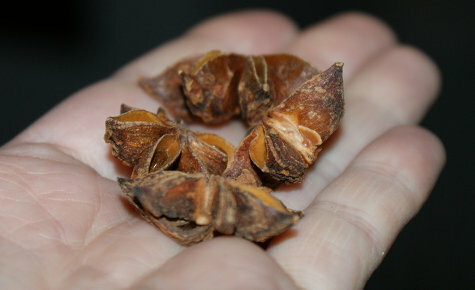 The first ingredient says star anise pods with cardamom pods in brackets; these are 2 different spices. Can you please clarify? You can use one or the other or both. Also, how big is one jar of candied ginger? It’s a regular sized spice jar. So, like 1/2 a cup?